Installing pressure-assisted toilets ensures that your bathroom stays clean. These toilets are designed to handle heavy-duty flushes, and their designed to keep your restrooms odor-free. Minimize maintenance (and use of the plunger) with pressure-assisted toilets; your clientele and employees will appreciate it! Here at InSink Plumbing, we tackle all tasks plumbing related. Whether it’s a new faucet for your home, or a new booster pump for your business, we can handle it. And that, of course, includes pressure-assisted toilet installation. 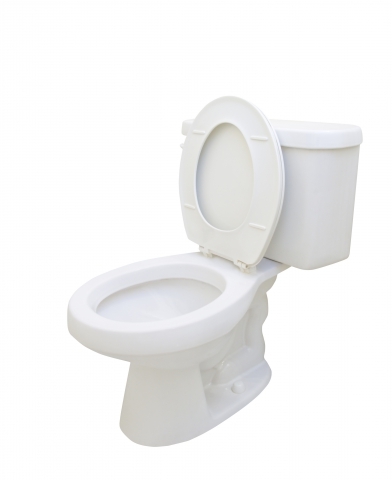 If you’re replacing your toilets with modern pressure-assisted toilets, we can help. Or if you’re installing a toilet in new construction, we can do that for you too. In addition, you can count on us for any problems you have in the future. If, for instance, you have a sewer line problem, we’re here to help. We even offer 24-hour emergency services should an issue occur at an inconvenient time. We also offer sewer line inspection and cleaning services so that you can avoid a sewage backup. In short, we’re here to ensure that all of your pipes are flowing in the right direction. If you’re ready to install pressure-assisted toilets in your business, or if you’d like to inquire about any of our other services, feel free to give us a call today! You can also book with us right here online to get a Speedy Fast Quote™! InSink Plumbing provides plumbing services throughout Illinois, including Addison, Elmhurst, Carol Stream, Wheaton, Winfield, West Chicago, Lakewood, Wayne, Keeneyville, and Bloomingdale.